Several years ago, Microsoft released the Enhanced Mitigation Experience Toolkit (EMET), a free tool that can help Windows users beef up the security of third-party applications. 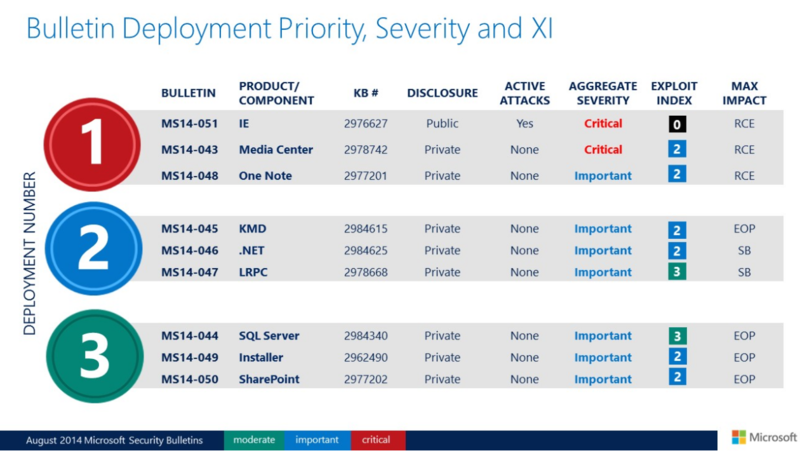 This week, Microsoft debuted EMET 4.0, which includes some important new security protections and compatibility fixes for this unobtrusive but effective security tool. First, a quick overview of what EMET does. EMET allows users to force applications to use several key security defenses built into Windows — including Address Space Layout Randomization (ASLR) and Data Execution Prevention (DEP). Put very simply, DEP is designed to make it harder to exploit security vulnerabilities on Windows, and ASLR makes it more difficult for exploits and malware to find the specific places in a system’s memory that they need to do their dirty work. EMET can force a non-Microsoft application to perform ASLR on every component it loads, whether the program wants it or not. Please note that before you install EMET, you’ll need to have Microsoft’s .NET Framwork 4 platform installed. And while EMET does work on Windows XP (Service Pack 3 only), XP users cannot take advantage of mandatory ASLR and a few other notable protections included in this tool. 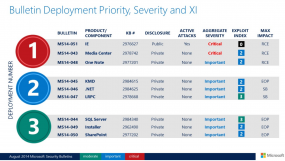 However, EMET includes several important security features that can help fortify third-party applications on XP. Namely, its “Structured Exception Handler Overwrite Protection,” or SEHOP protection, which guards against the most common technique for exploiting stack overflows on Windows. Microsoft says this mitigation has shipped with Windows ever since Windows Vista Service Pack 1. 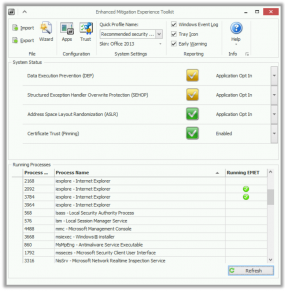 In addition to a revised user interface, EMET 4.0 includes a handful of new features that were bundled with the 3.5 tech preview version, such as novel methods of blocking an exploit technique called return-oriented programming (ROP). Attackers can leverage ROP to bypass DEP protections by using snippets of code that are already present in the targeted application. One of the much-hyped new capabilities of EMET 4.0 is its “certificate trust” feature, which is designed to block so-called “man-in-the-middle” attacks that leverage counterfeit SSL certificates in the browser. The past few years saw several attacks that impersonated Webmail providers and other top Internet destinations using fraudulent digital certificates obtained by certificate authorities, including Comodo, DigitNotar and Turktrust. This feature is a nice idea, but it seems somewhat clunky to implement, and only works to protect users who browse the Web with Internet Explorer. 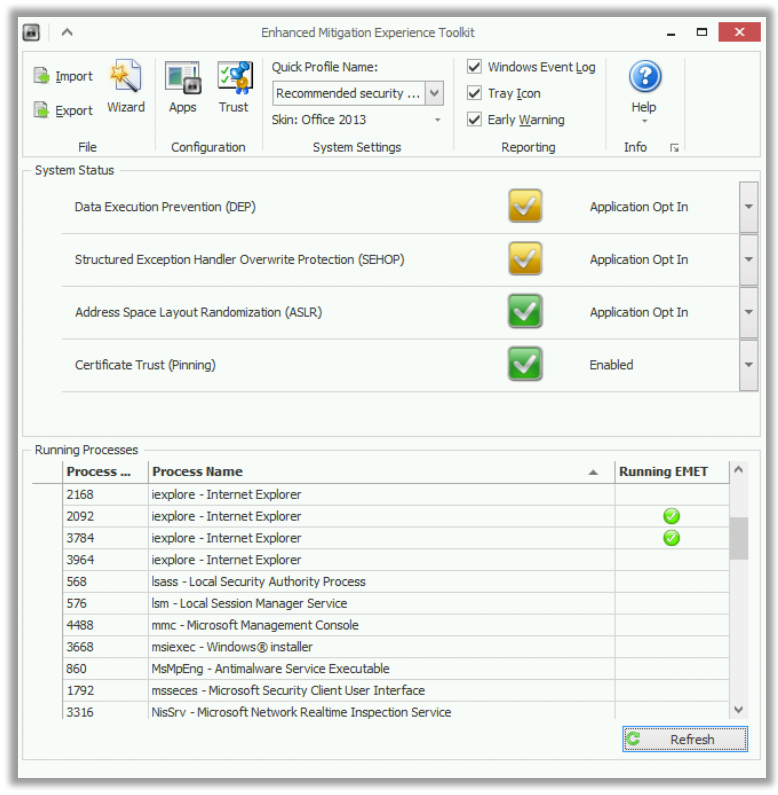 For tips on configuring and using this feature of EMET, check out this post.